Nothing happens. Exactly zip gets implemented. Nada gets checked off the list of must-dos. Why? Many times when we attend a conference, we don’t approach it with a plan. We aren’t looking to solve any one problem, we’re looking to completely overhaul everything. And when we expect to overhaul everything in a weekend, we overhaul nothing. 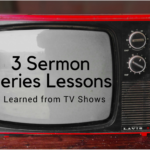 We’re looking for the next done-for-you-in-a-box ministry solution when they don’t really exist. But don’t lose heart. You can make the next time you attend a conference worth your while. Pastor, when you expect to overhaul everything in a weekend, you overhaul nothing. The Next Time You Attend a Conference, Do This! If you’re going with your staff or a leadership team, identify one problem as a group and one problem for your ministry. Write it down. When you do this, you will begin filtering through all the great ideas so that you can find the right idea(s) to move your leadership, your ministry, your church forward. Wave the white flag of surrender before you even get to the conference: no, we cannot do everything the speakers and workshop leaders are going to recommend and that’s okay. One of the reasons – maybe the biggest reason – we don’t move forward after a conference is we don’t leave with any momentum other than emotional motivation. And we all know that dies out as soon as the adrenaline is gone. So use that dynamic to your advantage and identify one thing that you will do while you’re at the conference. Take advantage of a break, stay up a little late, or wake up a little early. Prioritize this because this is where you get your money’s worth from a conference. Now that you have momentum on your side, extend that momentum past the conference with a manageable list of things you will do. These can be big tasks that have many smaller pieces inside them but don’t list those little things out yet. Write down one to three actions and then break them down when you have the time to devote to it. Have a Debrief Meeting – Don’t You Dare Neglect This! This is especially vital and helpful if you attend a conference with a group. But it’s still vital if you don’t, it will just look different depending on your context. If you attend the conference as a group, grab a meal, and do this once everyone is close to being done eating. Don’t start before you get your food. You’ll be too tempted to just stop the debrief part, eat, and leave. Once the group is ready, go around the table and have everyone share the one problem they identified, what they applied while at the conference, and their list of actions they will do when they get back. Now, here’s the key: ask each person to put a deadline on one of their actions for when they get back. When everyone has had a chance to go, pair everyone up (or do three’s) for accountability on each other’s deadline. If you attend a conference yourself, call someone you can talk to about the conference – this can be anyone – and share the same things you would around a table in a group with them. Tell them your deadline and ask them to check in with you on it. The next time you go to a conference, go with a plan. Want a free printable pdf to take with you? 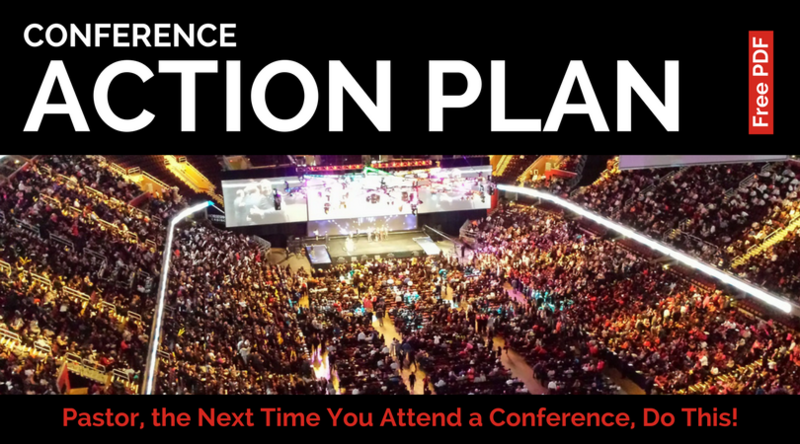 Download the Conference Action Plan (no opt-in required). Do you already have a plan for your next conference? What is it?